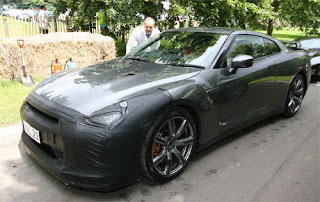 As speculated on the GTR UK forum , the new GT-R , still under some camouflage ran at the Goodwood Festival of Speed last weekend. No fanfare , no real announcements. The UK forum members got some "inside info" that they were going to be publishing in their member magazine.